Blue interlaced ‘L’s enclosing date letter ‘ee’ for 1782 Gilder’s mark for Mèreaud l’âiné. Merle Cendre l’Amerique and Merle à Cravat de Cayenne in mauve. Decorated with birds in large gilt cartouches set against a ground of irregularly-shaped zoomorphic forms edged in gold on a seeded blue ground. 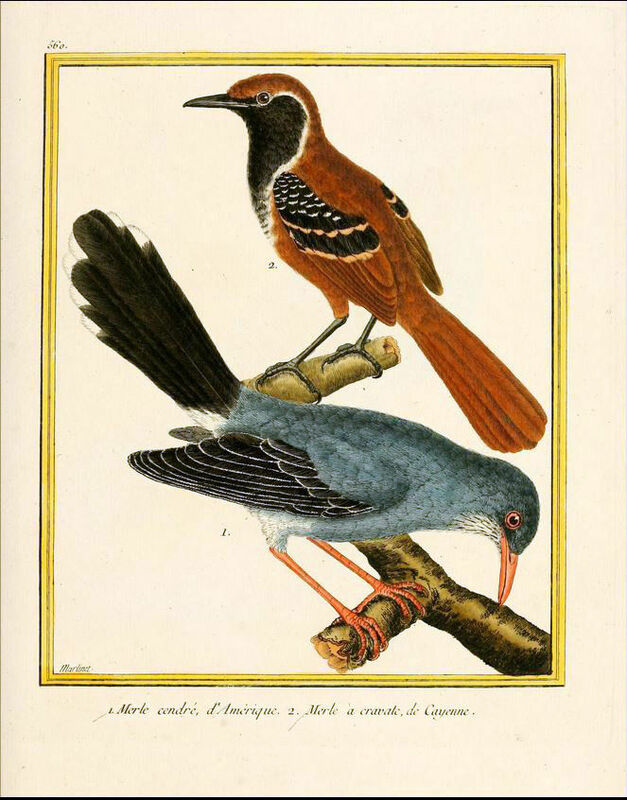 The birds are taken from an ornithological engraving by Martinet after Bouffon of the American Blackbird and the Cravated Blackbird of Cayenne. 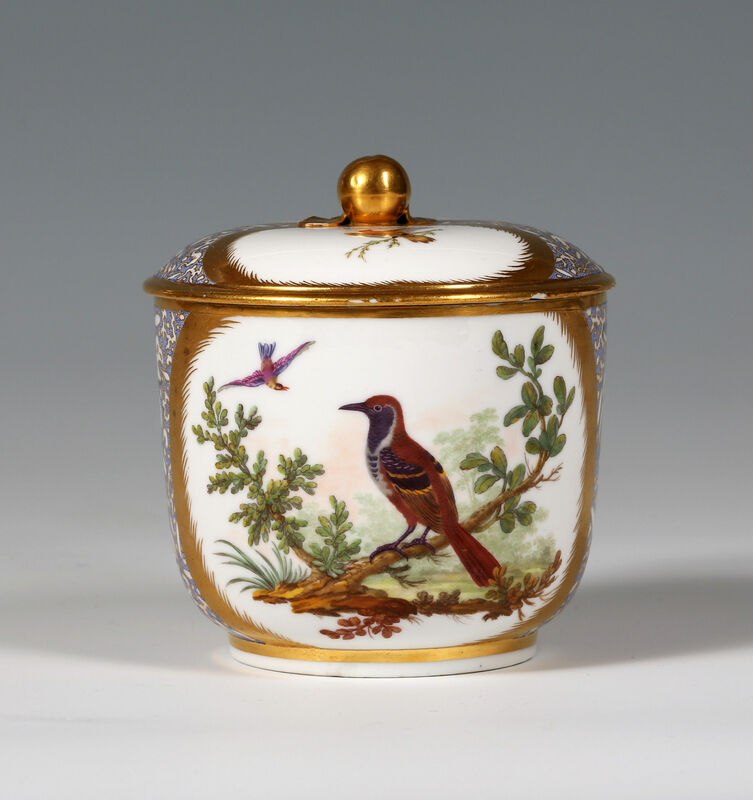 The lid is further decorated with birds holding branches in reserves. 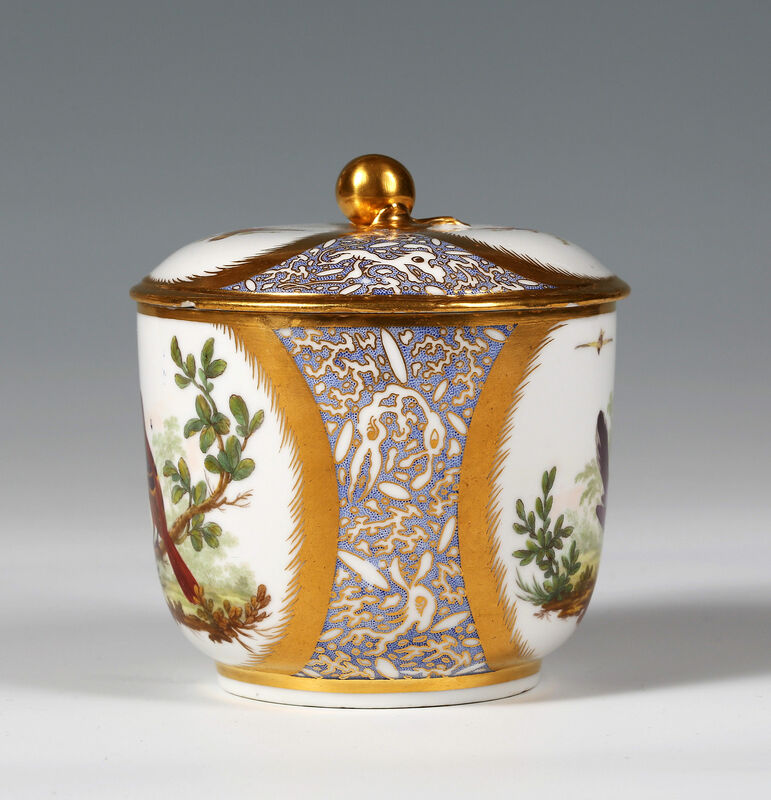 Juliet Carey has shown that that many of the caillouté and vermiculé designs found on Sèvres porcelain were derived from the fascination and allure of the natural world. In this rare variant the pattern was derived from fossils which, before their mystery had been explained, intrigued enlightenment thinkers. 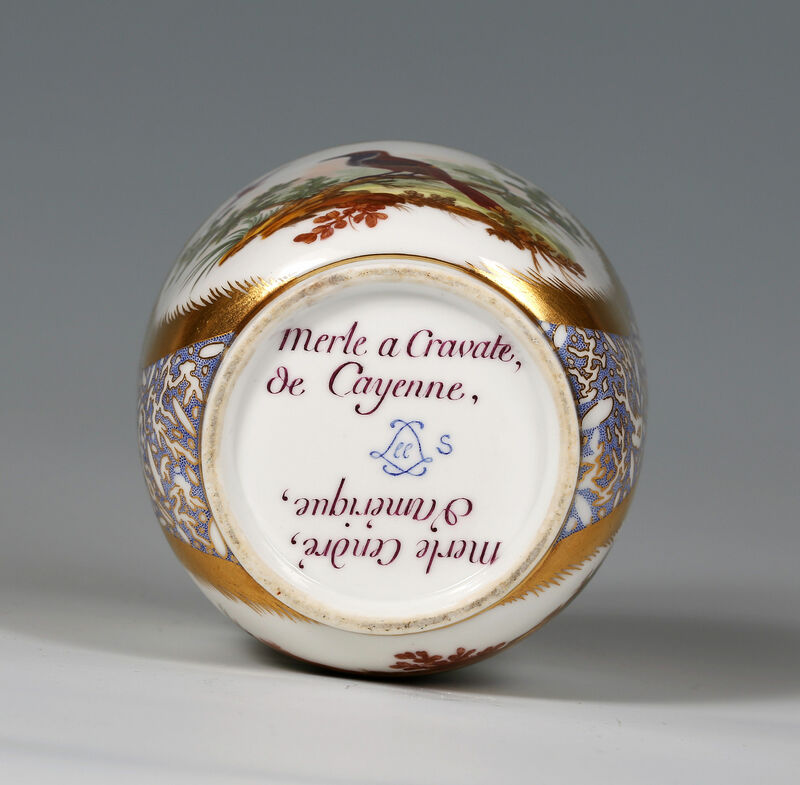 An example of a goblet litron with the same ground of 1781 is in the Royal Collection, the matching saucer is in the Legion of Honor Museum, San Francisco and the Pot à Sucre in the Art Institute, Chicago. The bird painting on these is attributed to Philippe Castel. These differ only in the lobed edge to the gilt cartouche. In his commentary Sir Geoffrey de Bellaigue shows that some pieces with this ground can be attributable to Armand le jeune. Condition – Two small chips to the gilt rim, and a firing fault to the foot, restored. Slight losses to gilding around the rim. 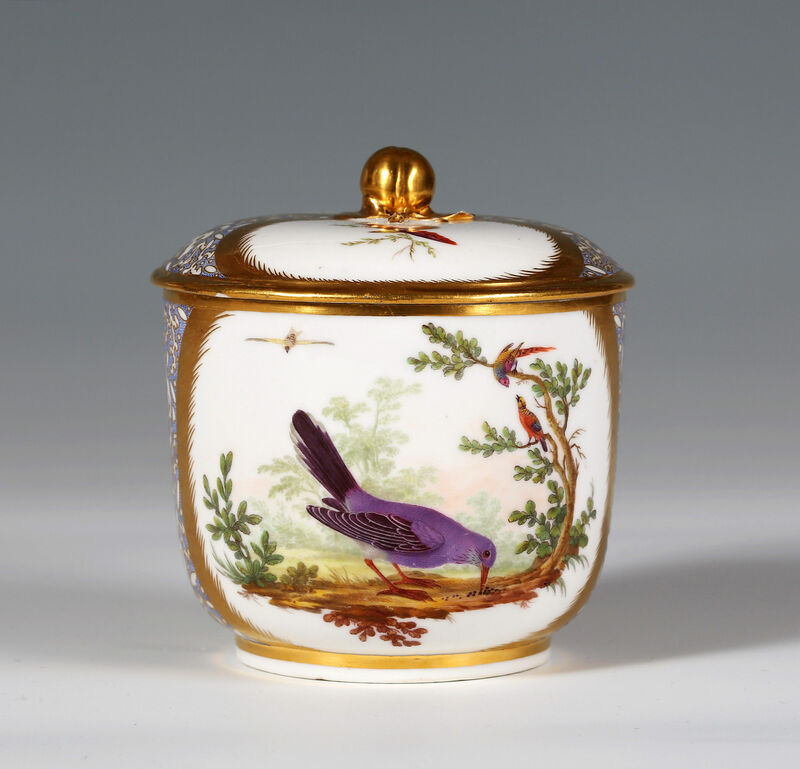 Literature – Juliet Carey, The Riches of the Earth, Minerology, Microscopes, and Cailloutè Patterns on Sèvres Porcelain, The French Porcelain Society Journal, Volume V (2015), p117-32. 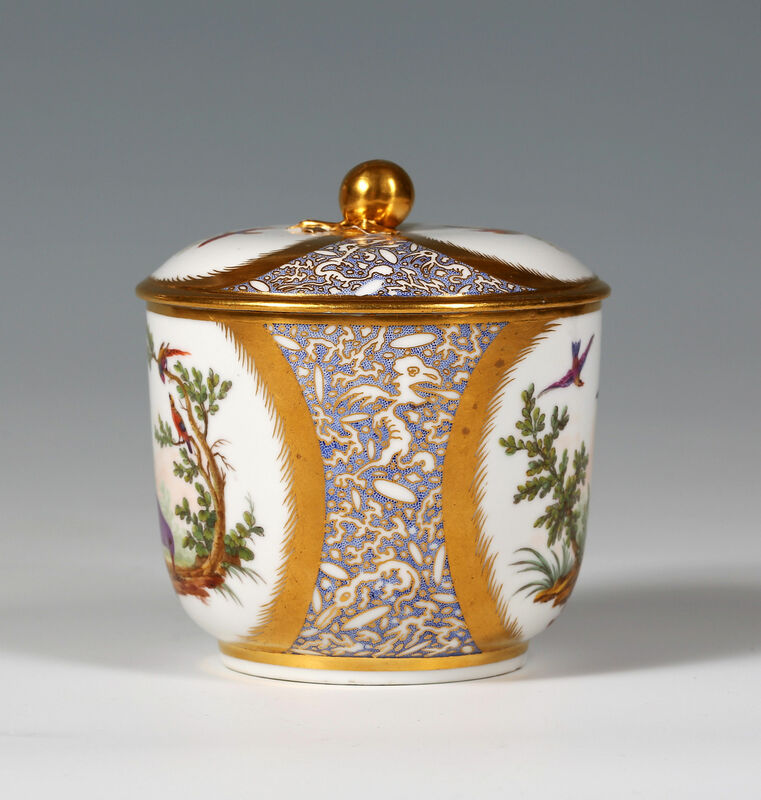 Sir Geoffrey de Bellaigue, French Porcelain in the Collection of Her Majesty the Queen, Volume II, no. 233, p843.